Desert Palm is an out of town accommodation facility that has a relaxed atmosphere and polo pitches, rewarding visitors with serenity that is often missing in the populated areas of Dubai. This excellent hotel is located in the middle of sea of greenery and palms, which gives this place more convincing look. It is comprised over suits and villas, which are equipped with all the modern amenities like LCD TVs, fridge, hair dryer, telephones, attached washrooms and etc. Moreover to keep the guests busy, Desert Palm also offers an array of fascinating activities such as riding, spa, tavern, cafe, high tea venue and an exclusive bistro to sate the visitors craving for delicious food. Modern and elegantly designed villas and suits are available at Desert Palm hotel, which visitors can occupy to enjoy a dream holiday. As its villas have attached kitchens, private pools and walled gardens and each of them have different designs. Guests can also watch polo match from their terrace or room windows while having tea, as there is a dedicated polo ground in this facility. Those who want to ride, can pack their riding gear to take the advantage of riding facility in this hotel. Folks, who are looking to rejuvenate themselves, should head towards their spa where international massage techniques are used to rejoice the guests. In addition to this, facials, mani & pedi cures, wraps, vichy showers and body scrubs are done at Desert Palm’s spa. People, who are here on business tour, will also get superb facilities in this hotel such as Wi-Fi access all through the property, telephone, fax and printing conveniences. As far as dining experience at Desert palm is concerned, guests will find four different choices out of which one is bistro, second is tavern, third is a café and fourth site is used for high-tea. All these in-house eateries serve fresh and delicious foodstuff. The main desk remains open 24 hours during a day in this hotel. However, restaurants and cafes have their own timings. For example, Rare restaurant opens daily for dinner from 19:00 to 23:00 and serves lunch only on Fridays from 11:30 to 16:00. Epicure Café, on the other hand, also opens daily but its operational hours are from 07:00 to 23:00. Red is a tavern and finest bottles of vintage drinks are opened here for guests on a daily basis between 12:00 and 01:00. Destination High Tea changes its location daily along with the polo match, but its opening hours remain the same from 15:00 to 18:00. Al Awir Road, PO Box 11917, Dubai, United Arab Emirates. 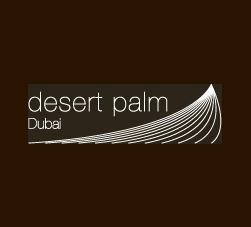 Since Desert Palm hotel is located out of town, therefore there is no metro station and bus stop within its 2.5 kilometres range. So the best way to get to this accommodation facility is by car.